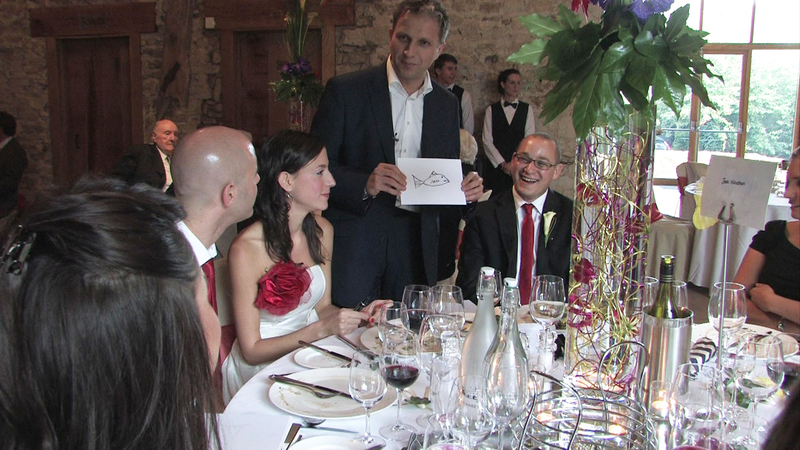 Here are some good reasons to hire UK magician Mark Cairns for flexible wedding entertainment that breaks the ice, keeps your guests entertained and makes your wedding truly unforgettable. Mark has performed his unique style of close up magical entertainment at quite literally hundreds of weddings, all over the UK. There is a lot to be done when arranging your wedding. Entertainment is just one piece of the puzzle, and Mark understands this. There are some very good reasons why you should consider hiring Mark Cairns to provide wedding entertainment on your big day. "Everyone said what a great idea it was to have a magician providing entertainment at the wedding as it acted as a good ice breaker when people weren't very familiar with each other." Your wedding is a union of two families, along with all of your friends. Sometimes this will be the first time they have met and had a chance to get to know one another. Mark acts as a great ice breaker and his wedding entertainment will bring your guests together in shared laughter and surprise. "Our guests haven't stopped talking about Mark. They enjoyed his magic and liked the way he unobtrusively drifted around entertaining them." 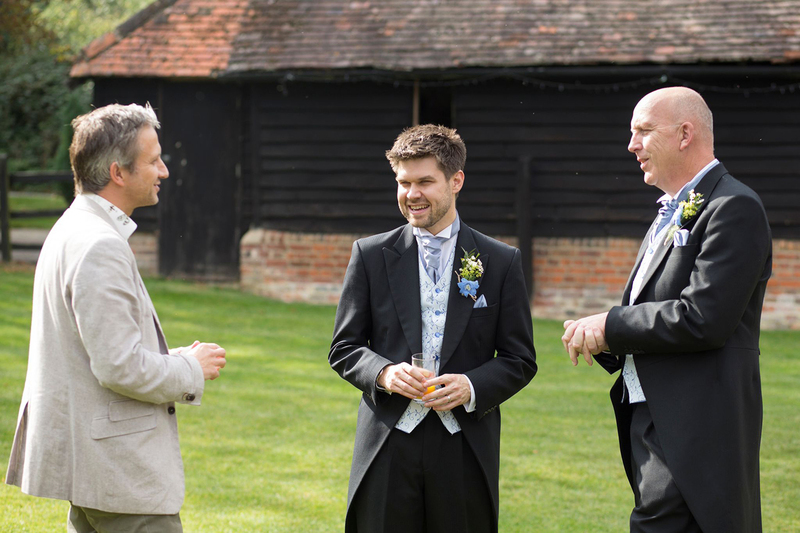 Mark's experience in providing wedding entertainment allows him to advise on how you can best use wedding magicians on your big day. Mark will discuss what is best for you and tailor times and programmes to suit, allowing you to fill in quiet patches. 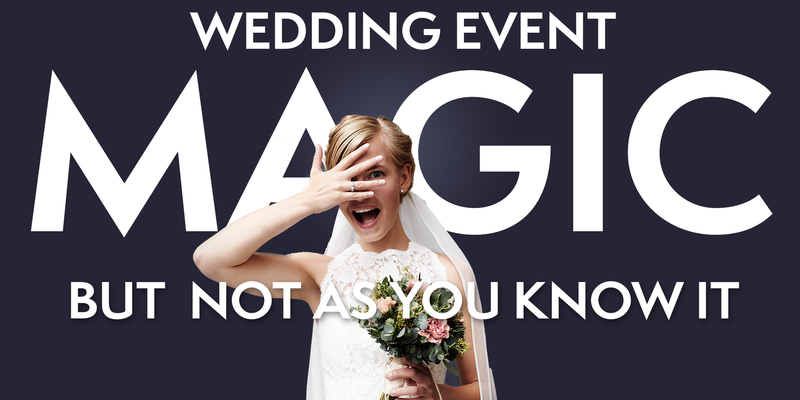 Why not refer to Mark's helpful FAQ sheet on how best to arrange for a wedding magician performance - click here. His entertainment is performed as he mingles with your guests or at their tables, making it unobtrusive. This ensures that the true focus of the day remains where it should be; on you and your guests having fun and relaxing. "Based on his professionalism and expertise, I would have no hesitation in recommending Mark to anyone planning on hiring wedding entertainment." Relax, have some fun. After all, it's your big day! You can't be with all your guests at the same time, but they are in good hands. 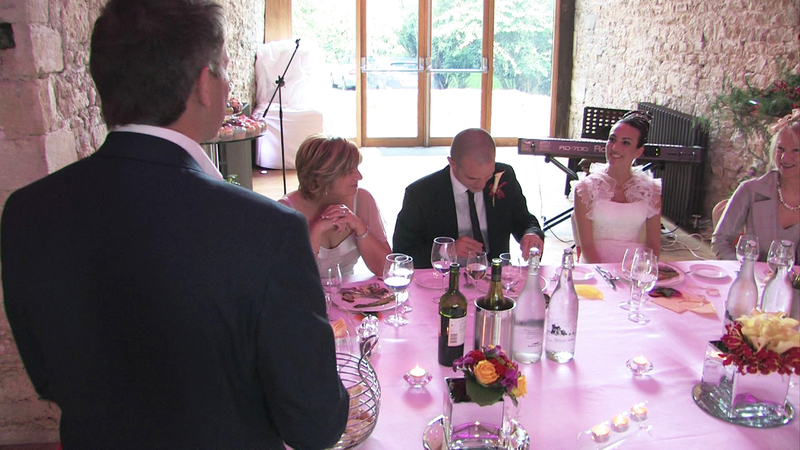 Mark is a quality, full-time professional wedding entertainer who won't let you down. He is experienced, punctual and credible. His references from previous clients will give you the peace of mind that comes from choosing the right entertainment and the right entertainer. Make your day stand out in peoples memories by giving your guests wedding entertainment that is just a little different. If you haven’t seen Mark perform before, then you will want to be sure that he can actually deliver on what he promises. Mark’s promotional video features him in action with unprepared members of the general public and demonstrates the powerful impact that his act has on guests. See for yourself how Mark will get your guests talking. Mark Cairns is a member of The Magic Circle, the world's most prestigious magic society. Magicians are only admitted to membership of The Magic Circle after a rigorous process of interviews and examinations. The Magic Circle is the world's most prestigious society for magicians around the globe. Founded over 100 years ago in 1905, there are only 1,500 members of The Magic Circle worldwide. Members of The Magic Circle include such famous magicians of the past such as David Copperfield, Paul Daniels and Tommy Cooper. Professional Magician Mark Cairns is the ideal magician to hire with over ten years experience as a full-time performer. A specialist close up magician for adult audiences, Mark uses these skills as a psychological mind reader at corporate events, weddings and private parties, and performs while either mingling with guests or working at the table. Mark is a member of The Magic Circle. Contact Mark today to break the ice and get your guests laughing.